As a budget-conscious prepaid carrier operated by Bell, Lucky Mobile is one of the newest Canadian options for cell phone service. Debuting in December 2017, the service offers contract-free prepaid plans with prices ranging between $20 and $50 per month before taxes, add-ons, and other fees. 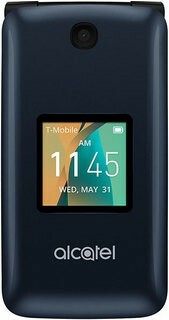 Need a phone to go with your service plan? Lucky's options are scant but budget-friendly. You can also bring your own unlocked phone by picking up a multi-SIM kit. Autopay discounts and perks: Current promotions allow you to both save on your monthly bill and enjoy extra data by signing up for automatic payments each month. As Lucky Mobile has only existed for a week at the time of writing, there's not much available for rewards. However, reviews are positive so far. We'll be sure to update the section as information is available. Like many smaller prepaid carriers, Lucky Mobile uses another major carrier's network to provide service. In this case, it's Bell. You can check coverage and network types in your area on their support page. Although Lucky Mobile uses Bell's network, you won't get the same speeds as you would through Bell. This is because speeds are limited to 3G or around 3Mbits per second. Within Canada, roaming charges will depend on your service plan. Lucky offers both Zone Plans and Province & Canada Plans. If you're using a zone plan and travel outside of your zone, you'll need a service pass to use your phone. These range between $3 and $5 dollars depending on the features and allotment you need. You can read more about them in Lucky's Service Pass FAQ page. Roaming outside of Canada is not supported. However, if your phone is unlocked, you might be able to pick up a prepaid SIM at your destination and continue using your phone depending on network requirements. For calls placed within Canada, long distance fees will depend on your plan. Prepaid plans include a range of calling options from smaller zones to Canada-wide to make it affordable to keep in touch with family and friends across the country. If you’re planning to call outside Canada, Lucky Mobile offers a number of add-ons to help keep your bill affordable. Each add-on is $5 and offers calling to a specific destination or group of destinations. Minute allotments range from 10 to 300 minutes depending on where you plan to call. You can find more about specific international calling rates on their International Calling page. Does Lucky Offer Wi-Fi Calling? What is Their Tethering Policy? According to the Terms of Service, charges for the data used while tethering may vary depending on your plan. If you wish to tether with this carrier, we’d recommend contacting them to ensure you won’t end up with any nasty bill surprises. No, data top-ups, add-ons or monthly data buckets do not roll over from month to month. Do They Offer Add-ons or Bundles? Add-on options at Lucky Mobile are scant. They only cover international calling and data allotments. Options for international calling are all $5. Minutes in the add-ons vary by destination. If you need to add data to your plan, options range between $10 and $25 for up to 2GB of 3G data. NOTE: If you're on a zone plan, you'll need to purchase a service pass as well to use data add-ons outside your zone. For more information, consult their Plans & Add-ons page. For full details on bringing your own phone check their SIM card page. No. As a prepaid provider, there are no credit checks to start service. Lucky charges a one-time $10 activation fee for every new line of service. If you bring your own phone or tablet, you'll also need a Lucky SIM. No. All Lucky Mobile plans are contract-free so you're free to cancel at any time. Can I Port My Number To or From Lucky Mobile? Yes! This carrier follows all Local Number Portability requirements. In most cases, the process takes no more than 72 hours. Will Lucky Mobile Unlock My Phone? According to CRTC Wireless Code regulations effective December 2017, they must unlock your phone free of charge upon request. For additional questions about Lucky pricing, features, and coverage, be sure to check our Lucky Q&A Forum. It’s filled with questions and answers from people like you looking to get the most out of their mobile service! If you spot any errors or missing information, please let us know, it's definitely appreciated and will help make this page better for everyone. It was a limited offer $40 monthly, No Years of Agreement which I have been doing for almost 10 yrs. I used to have Fido $25 in the last 9 years plus tax which totals $28 plus cents (it includes only Unli Call limited from 7pm-7am just right when you don't need the fone because you actually sleep at night, and Unli Calls for the weekends and Unli Texts Mesg, that's it.) When I saw this booth @ CNE I was very lucky I didn't have a fone that time, They Offer the $40 With No Agreement, they will cut your service once you decide to not pay anymore, Unli Call and Text Whenever Day and Night. And Data which I never had before I can turn it on or off when necessary. It works for me, although the downside is the customer service you have to call in their office hours only. You just have to pay exactly monthly Top-up as they call it so they don't cut your service once yoy missed your monthly payment. I use my old fone I don't need to buy so I save. It's not like I'm on my fone 24/7 every min every sec so it works perfectly for me. I have the specific day when I have to pay before that deadline monthly. They have a good service. Retail stores for Lucky Mobile are like one time commission agents. They offer no HELP whatsoever and ask customers to call customer service line for help. Customer service on the other hand, offers ZERO help if you have paid at a store level and not through their online website. Lucky Representative advised me to go to a store to get credits for pre-paid bills, but store didn’t honour. Rep:Kevin: Employee ID: EZ44872 even placed a note in the file but neither store or customer service honoured the commitment. Supervisor in-charge advises me, “this is the risk you as a consumer take with pre-paid service”. Once you pay for the service, there’s no way you’ll get it back. While the plan and cost are good - as advertised - it has been impossible after weeks of trying to get contact with customer service to change my mobile number to a previous one. Visit the Lucky Mobile Q&A Forum to get answers, ask a question or help others.